Thursday, February 7, 20196:00 pm PST / 9:00 pm ESTLos Angeles Film and television are imperative to the pursuit of Holocaust education and awareness. As we witness the passing of Holocaust survivors, it is vital that we find a way to continue to engage and include survivors in every aspect of the storytelling so their testimonies can be kept alive even after they are gone. This program will integrate excerpts from some of the exceptional films that have received grants from the Conference on Jewish Material Claims Against Germany (Claims Conference), alongside in-person recollections from survivors. Conversations on-stage with the filmmakers, survivors and experts will also address how storytelling via film, television and emerging technologies, has the unique power to keep these important stories alive and educate future generations. AGENDA:Welcome: Rene Reyes, Executive in Charge of Production, The Paley Center for MediaIntroductory Remarks: Greg Schneider, Executive Vice President, Claims ConferenceThe evening is hosted by Larry King and Lisa Edelstein. WHO WILL WRITE OUR HISTORY:FILM BACKGROUND: In November 1940, days after the Nazis sealed 450,000 Jews in the Warsaw Ghetto, a secret band of journalists, scholars and community leaders decided to fight back. Led by historian Emanuel Ringelblum and known by the code name Oyneg Shabes, this clandestine group vowed to defeat Nazi lies and propaganda not with guns or fists but with pen and paper. Now, for the first time, their story is told as a feature documentary. Written, produced and directed by Roberta Grossman and executive produced by Nancy Spielberg, Who Will Write Our History mixes the writings of the Oyneg Shabes archive with new interviews, rarely seen footage and stunning dramatizations to transport us inside the Ghetto and the lives of these courageous resistance fighters. They defied their murderous enemy with the ultimate weapon – the truth – and risked everything so that their archive would survive the war, even if they did not. In Person:Roberta Grossman, Writer, Director, ProducerNancy Spielberg, Executive Producer Andi Gitow, Director of Strategy, Partnerships and Media, USC ShoahNatalie Gold, Holocaust survivor CHICINETTE – HOW I ACCIDENTALLY BECAME A SPYMarthe was born in Metz (Lorraine). A Jew, she and her family fled the Nazis in 1939 first going to Pointier, then further to the South of France in 1942. Her fiancé was shot by the Nazis and her sister was deported. After the liberation of Paris in 1944, Marthe enlisted as a nurse for the French army where her German language skills were discovered. Transferred to the French Secret Service and sent to Germany, her life as a spy began. Her reports on German troop movements helped to shorten the war and she was rewarded for this support by Charles de Gaulle. She kept her story to herself for 60 years. This documentary is the untold story of Jewish-French spy, Marthe Cohn, who at age 98 is ready to share her extraordinary story with the world. In Person:Marthe Cohn, Holocaust Survivor, former spyMichael Potter, Executive ProducerElizabeth “Barry” White Ph.D., Senior Historian at the United States Holocaust Memorial Museum (USHMM) CHASING PORTRAITSFILM BACKGROUND: One man’s art. 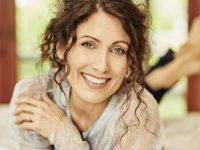 One woman’s unexpected path to healing. An American woman’s emotional quest to find the art of her Polish-Jewish great-grandfather, lost during World War II. Moshe Rynecki’s body of work reached close to eight hundred paintings and sculptures before his life came to a tragic end. Decades later, his great-granddaughter Elizabeth sought to rediscover his legacy, setting out on a journey to find what had been lost but never forgotten. The everyday lives of the Polish-Jewish community depicted in Moshe Rynecki’s paintings were a constant presence in Elizabeth Rynecki’s home when she was growing up. But the art grew from familiar to extraordinary in her eyes after she discovered journals detailing the losses her family had endured during the Holocaust… including most of Moshe’s paintings. Knowing that her family had only managed to save a small fraction of Moshe’s works, and that many more pieces might still be out there somewhere, Elizabeth set out to find them. Before Moshe was deported to the Warsaw Ghetto, he entrusted his work to friends for safekeeping. After he was killed in the Majdanek concentration camp, the art was dispersed all over the world. With the help of historians, curators, and admirers of Moshe’s work, Elizabeth began the incredible and difficult task of rebuilding his collection. Spanning three decades of Elizabeth’s life and three generations of her family, this compelling documentary is a deeply moving narrative of the richness of one man’s art, the devastation of war, and one woman’s unexpected path to healing. In Person:Elizabeth Rynecki, Writer, Producer, Director; 2G/daughter of Holocaust survivor E. Randol Schoenberg, Genealogist, author and cofounding partner of Burris, Schoenberg & Walden, LLPWesley Fisher, Director of Research, Conference on Jewish Material Claims Against Germany (Claims Conference) THE LIEGNITZ PLOT"The Liegnitz Plot" investigates a story dating back to the Holocaust: that a mysterious Nazi stole priceless stamp collections from concentration camp victims and then buried the stolen stamps somewhere in Poland. The filmmakers set out to confirm the story, recover the stamps, and return them to their rightful owners. 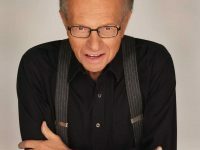 In Person:Dan Sturman, Director, ProducerGary Gilbert, Writer, ProducerMichael Berenbaum, Professor of Jewish Studies, American Jewish UniversityMiriam Tasini, Holocaust survivor, UCLA Medical School Professor This event is free and open to the public. 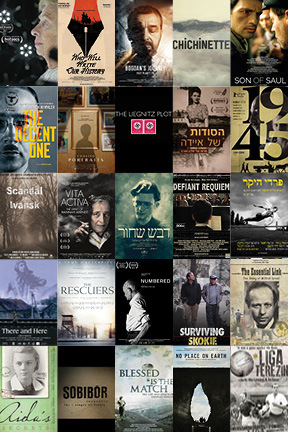 Film and television are imperative to the pursuit of Holocaust education and awareness. As we witness the passing of Holocaust survivors, it is vital that we find a way to continue to engage and include survivors in every aspect of the storytelling so their testimonies can be kept alive even after they are gone. This program will integrate excerpts from some of the exceptional films that have received grants from the Conference on Jewish Material Claims Against Germany (Claims Conference), alongside in-person recollections from survivors. Conversations on-stage with the filmmakers, survivors and experts will also address how storytelling via film, television and emerging technologies, has the unique power to keep these important stories alive and educate future generations. FILM BACKGROUND: In November 1940, days after the Nazis sealed 450,000 Jews in the Warsaw Ghetto, a secret band of journalists, scholars and community leaders decided to fight back. Led by historian Emanuel Ringelblum and known by the code name Oyneg Shabes, this clandestine group vowed to defeat Nazi lies and propaganda not with guns or fists but with pen and paper. Now, for the first time, their story is told as a feature documentary. Written, produced and directed by Roberta Grossman and executive produced by Nancy Spielberg, Who Will Write Our History mixes the writings of the Oyneg Shabes archive with new interviews, rarely seen footage and stunning dramatizations to transport us inside the Ghetto and the lives of these courageous resistance fighters. They defied their murderous enemy with the ultimate weapon – the truth – and risked everything so that their archive would survive the war, even if they did not. Marthe was born in Metz (Lorraine). A Jew, she and her family fled the Nazis in 1939 first going to Pointier, then further to the South of France in 1942. Her fiancé was shot by the Nazis and her sister was deported. After the liberation of Paris in 1944, Marthe enlisted as a nurse for the French army where her German language skills were discovered. Transferred to the French Secret Service and sent to Germany, her life as a spy began. Her reports on German troop movements helped to shorten the war and she was rewarded for this support by Charles de Gaulle. She kept her story to herself for 60 years. This documentary is the untold story of Jewish-French spy, Marthe Cohn, who at age 98 is ready to share her extraordinary story with the world. 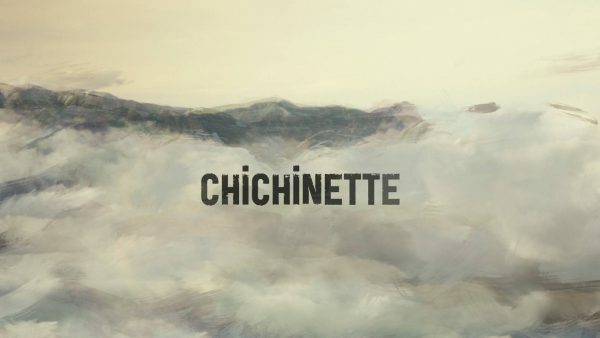 FILM BACKGROUND: One man’s art. One woman’s unexpected path to healing. An American woman’s emotional quest to find the art of her Polish-Jewish great-grandfather, lost during World War II. Moshe Rynecki’s body of work reached close to eight hundred paintings and sculptures before his life came to a tragic end. Decades later, his great-granddaughter Elizabeth sought to rediscover his legacy, setting out on a journey to find what had been lost but never forgotten. The everyday lives of the Polish-Jewish community depicted in Moshe Rynecki’s paintings were a constant presence in Elizabeth Rynecki’s home when she was growing up. But the art grew from familiar to extraordinary in her eyes after she discovered journals detailing the losses her family had endured during the Holocaust… including most of Moshe’s paintings. Knowing that her family had only managed to save a small fraction of Moshe’s works, and that many more pieces might still be out there somewhere, Elizabeth set out to find them. Before Moshe was deported to the Warsaw Ghetto, he entrusted his work to friends for safekeeping. After he was killed in the Majdanek concentration camp, the art was dispersed all over the world. With the help of historians, curators, and admirers of Moshe’s work, Elizabeth began the incredible and difficult task of rebuilding his collection. 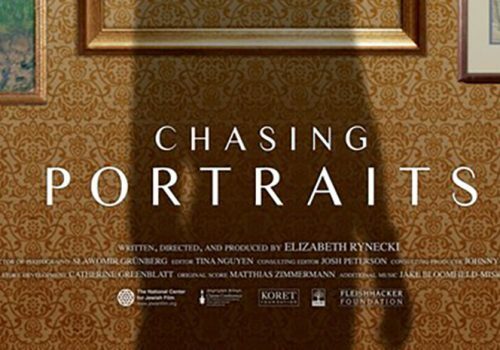 Spanning three decades of Elizabeth’s life and three generations of her family, this compelling documentary is a deeply moving narrative of the richness of one man’s art, the devastation of war, and one woman’s unexpected path to healing. 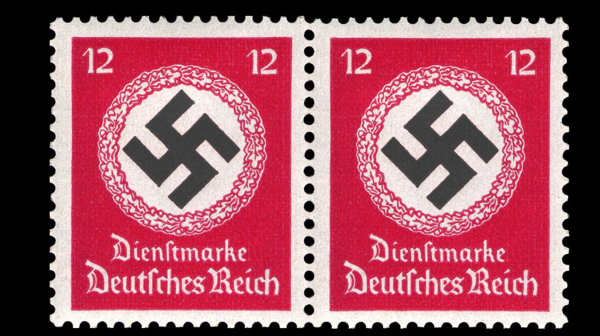 “The Liegnitz Plot” investigates a story dating back to the Holocaust: that a mysterious Nazi stole priceless stamp collections from concentration camp victims and then buried the stolen stamps somewhere in Poland. The filmmakers set out to confirm the story, recover the stamps, and return them to their rightful owners. Learn more about Claims Conference film grants.